Alpena, MI (November 10, 2015) – World Weaver Press (Eileen Wiedbrauk, Editor-in-Chief) and Enchanted Conversation: A Fairy Tale Magazine (Kate Wolford, Editor and Publisher) have announced the anthology Frozen Fairy Tales is available in trade paperback and ebook today, Tuesday, November 10, 2015. Winter is not coming. Winter is here. 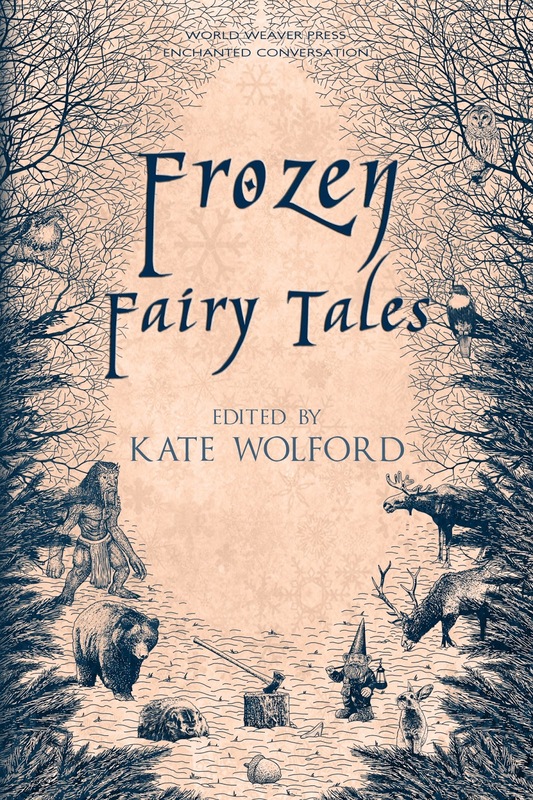 As unique and beautifully formed as a snowflake, each of these fifteen stories spins a brand new tale or offers a fresh take on an old favorite like Jack Frost, The Snow Queen, or The Frog King. From a drafty castle to a blustery Japanese village, from a snow-packed road to the cozy hearth of a farmhouse, from an empty coffee house in Buffalo, New York, to a cold night outside a university library, these stories fully explore the perils and possibilities of the snow, wind, ice, and bone-chilling cold that traditional fairy tale characters seldom encounter. In the bleak midwinter, heed the irresistible call of fairy tales. Just open these pages, snuggle down, and wait for an icy blast of fantasy to carry you away. Frozen Fairy Tales is available in trade paperback and ebook via Amazon.com, Barnesandnoble.com, Kobo.com, WorldWeaverPress.com, and other online retailers, and for wholesale through Ingram. 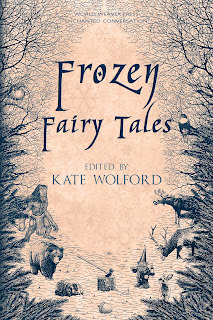 You can also find Frozen Fairy Tales on Goodreads.